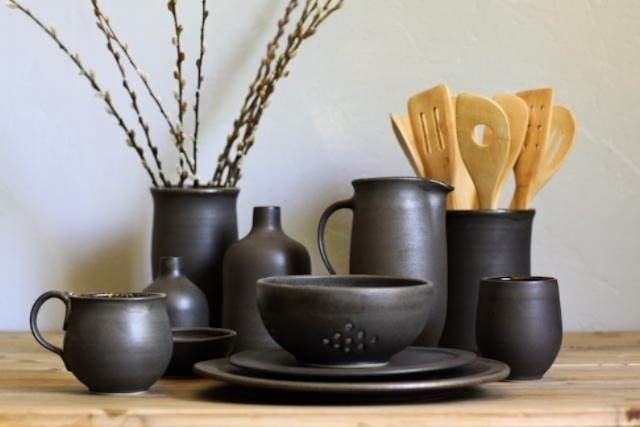 This matte black glaze has been a fan favorite for some time now. Elegant and sleek, this glaze adds a touch of style to any kitchen or home. Have your piece all black or request it to be customized with a splash of color on the inside of your cups and bowls. Ah, white. A classic. Clean, crisp, and always dependable. For a more modern and contemporary look, always choose white. We love whites in all tones. This cool grey is the perfect addition to any home and works well paired with our Classic Bright White or Black Steel glazes. 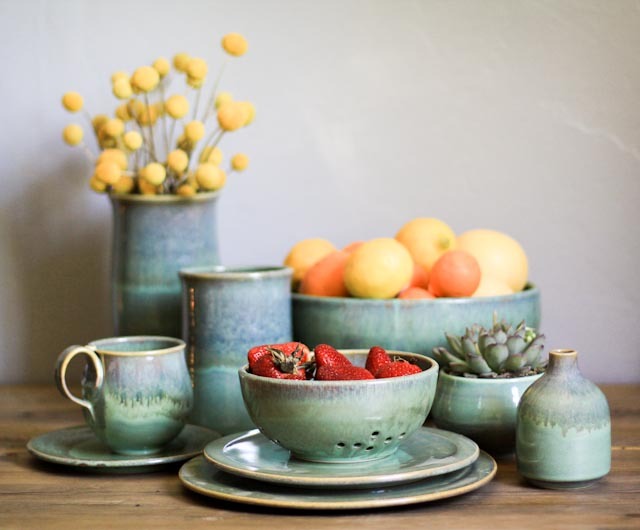 Inspired by the colors of California's Central Coastline, the Pacific Coast glaze has layers of green, teals, purples, and little hint of yellow. Playful and vibrant, this glaze is sure to brighten up your kitchen and home. Earthy and rustic, this iron speckled glaze sits in a red clay body, that can be customized as exposed to get an even more natural feel.